A poetic verse reveals itself in the woodland leading to Sanctuary. Tied to themes of absence and presence, adventure and isolation, the artwork’s subtlety in the scenic surroundings invites the participants to wander further. Martin Joseph O’Neill is a writer and artist and curatorial member of the Stove Network in Dumfries. 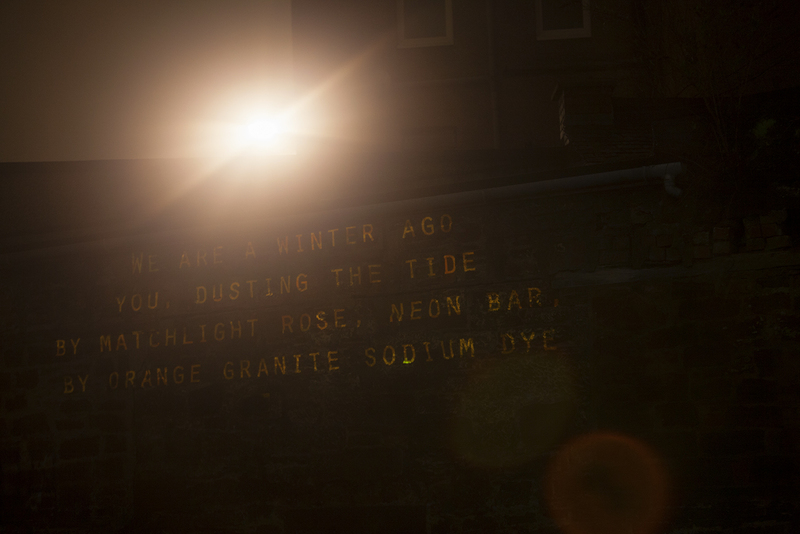 His recent work explores language, place and poetry using projection, performance and environmental installation.